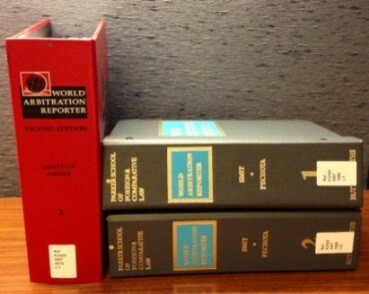 The World Arbitration Reporter. Currently in its second edition, this set provides a general overview of the arbitration laws for over one hundred countries. The National Reports (vols. 1, 1A, 1B) include introductions to the arbitration law in each country, an overview of the current law and practice, and national legislation and cases. This source also covers National Arbitration Institutions (vol. 2), for example, the Indian Council of Arbitration, as well as International Arbitration Institutions (vol. 3), such as the Singapore International Arbitration Center and the ICC International Court of Arbitration. 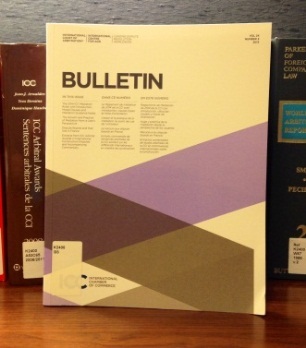 The ICC International Court of Arbitration Bulletin. Founded in 1990, this biannual source, accompanied by an annual supplement, contains extracts from awards rendered in ICC cases as well as reports and notes that are useful to ICC arbitration practitioners. For example, the most recent issue (vol. 24(2) of 2013) provides annotations to the new ICC mediation rules. In addition to the award extracts, this issue offers guidance about mediation for businesses, tracks current developments in mediation in English law, and discusses dispute boards in France as well as international construction contract disputes. 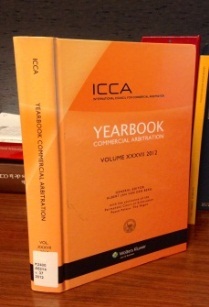 International Council for Commercial Arbitration Yearbook. Published by Kluwer Law International with assistance from the International Council for Commercial Arbitration and the Permanent Court of Arbitration, this essential source provides commentary and law on international arbitration. The yearbook lists the national reports that are published in the International Handbook on Commercial Arbitration, and provides country-by-country details of new and amended arbitration rules, as well as recent developments in arbitration law and practice. In addition to the arbitral awards, the yearbook also presents the extracts of court decisions organized by international convention. 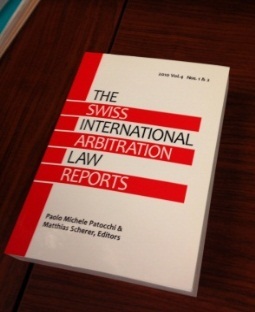 The Swiss International Arbitration Law Reports. Includes decisions made by the Swiss Federal Supreme Court that address international arbitration. Each case has a headnote, case summary, and the full opinion which is provided in both its original published language along with an English translation. It is useful to consult the cumulative index and the tables of abbreviations, cases reported, cases cited, as well as the table of treaties, statutory instruments, arbitration rules, and other private regulations. Arbitration International Journal. Published quarterly by Kluwer Law International with assistance from the London Court of International Arbitration, this journal is a great source to maintain current awareness on international arbitration issues. 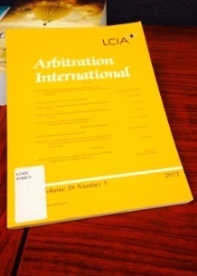 The Arbitration International Journal contains articles for practitioners, such as “Navigating EU Law and the Law of International Arbitration” (Bermann, 2012). Additionally, it highlights current national developments and provides conference updates, book reviews, and case notes. There are a variety of journals on international arbitration, such as Asian International Arbitration Journal and The American Review of International Arbitration.